This is fairly different to what I usually do, but it's for a competition I saw on the Talenthouse website. 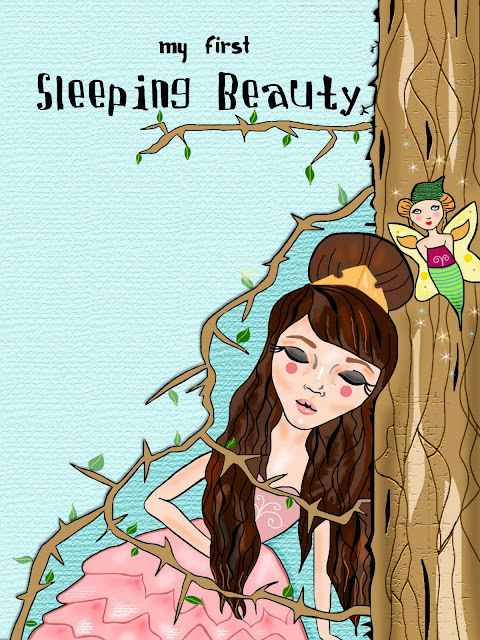 The brief is to design a poster for the children's production of 'My First Sleeping Beauty' for the English National Ballet. I tried to make it look as appealing to children as possible, whilst still capturing the essence of the classic story. If you want to support me, just click here. I love this! Your interpretation of the fairytale is beautiful. Another great piece! I followed! nice design, good luck with the competition!! It looks awesome, I prefer your regular style, but this is absolutely perfect for the competition! I think your really talented ! I'm voting on you ! This turned out pretty amazing. I love how behind her the blue is darker, and then it turns lighter after the branch. I wish you the best of luck in the competition!!! Thank you all :) I appreciate all your kind words. I love your work! Amazing! this is excellent, i am a massive art lover! OMG you are soooo talented! Wow! First of all thank your for your comment! Second, I love your paintings! You're very talented! Wow! love it! you are so talented! thanks for your comment! It's beautiful!! I love how delicate and doll-like the sleeping beauty looks! i'm amazed by your talent, had to follow!! follow back? Wow, this is gorgeous! I love her hair! well if you don't win then there's definitely something wrong because this illustration is incredible!!! i always admire illustrators, i just don't know how you do it. Wow, you are so talented. It's amazing, good luck with the contest!